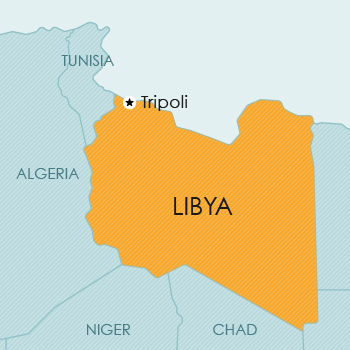 Libya is situated in North Africa on the Mediterranean Sea and is bordered by Tunisia and Algeria on the west, Niger and Chad on the south, Sudan on the south-east and Egypt on the east. A new Commercial Law no 23 of 2010 has been enacted, which includes provisions on trade marks. This Law became effective on 21 August 2010; however, the regulations to implement the Law have not yet been issued. Accordingly, the Trade Mark Law of 1956 is still being applied. Libya is a member of the Paris Convention. The 1956 Law provides for the protection of trade marks for goods and services, and also for certification and collective marks. Libya is a member of the Paris Convention and of the PCT. Patent protection is obtainable by way of a national application, which may be a non-convention or a convention application or a national phase application under the PCT. Patents of addition may be obtained for improvements or amendments to the principal patent. Although the Law in Libya has not yet been amended to recognise the PCT, PCT applications are being accepted and processed by the patent office. Design protection can be obtained via a national filing in Libya. Libya is a member of the Paris Convention, so that priority may be claimed. Libya is a member of the Berne Convention. works for broadcast by radio or television. collections of official documents, such as laws and regulations, decisions by courts, official documents. Currently, no legislative provision for plant breeders’ rights or other sui generis protection for plants is available in Libya.